Height: Males – 25 1/2 in., Females 24-26 1/2 in. What is the origin of the Beauceron? The first mention of a Beauceron-like dog was in a 1587 manuscript. In 1911, when form became important, “Friends of the Beauceron” was organized in France, the home of the dog, and it still functions as today as guardian of the breed. What does the Beauceron look like? The Beauceron has a strong, flexible body, well-muscled. If the ears are cropped, they will be erect. 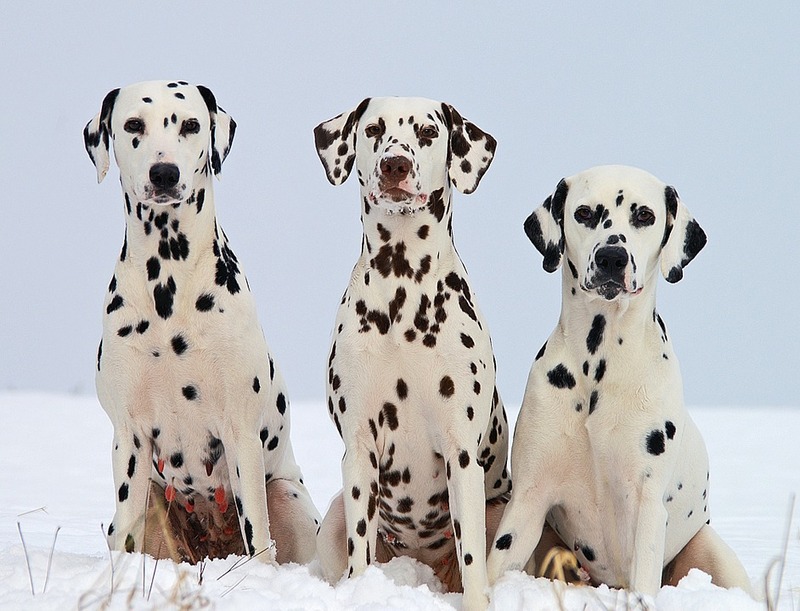 Natural ears are flat and short. Eyes are dark and slightly oval. The long tail reaches to the hocks and is slightly curved. The tail and back of the thighs is somewhat fringed. 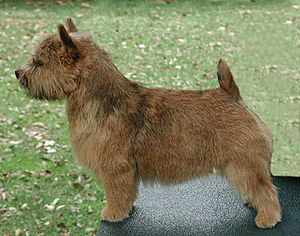 The coat is short and hard with a dense undercoat. 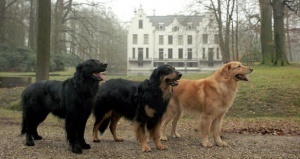 Colors are black and tan (bi-color), and black, grey and tan(tri-color). The coat needs only occasional brushing. What is the temperament of the Beauceron? 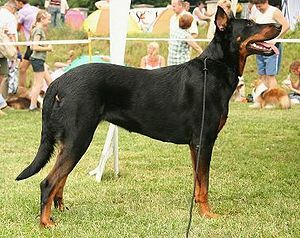 The Beauceron is an active dog and needs an owner equally active. It is highly intelligent and trains easily. It is very affectionate with its family but wary of strangers. Early gentle but firm training and socialization are necessary for the Beauceron to learn to interact well with people and other dogs. Continued socialization will enable them to get on well with children. What are the Beauceron’s uses? In both World Wars, the Beauceron brought ammunition to gun positions and carried messages. This versatile dog is also used as a therapy dog, herding livestock, agility trials, search and rescue and as a guard dog. Today they still also serve in military and civilian police forces. It is a faithful, loving family pet. Hip and elbow dysplasia, dilated cardiomyopathy (inflammation and weakening of the heart muscle), bloat, osteochondritis dissecans, eye exams recommended.